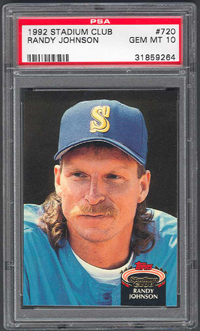 Comments: In April, 2005 I picked up a 1989 Panini Sticker BCCG 10 card on eBay. 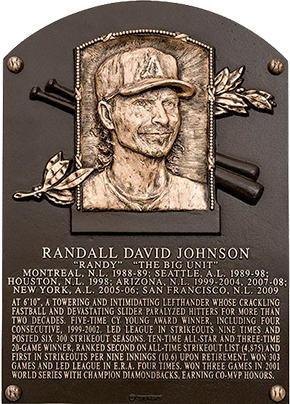 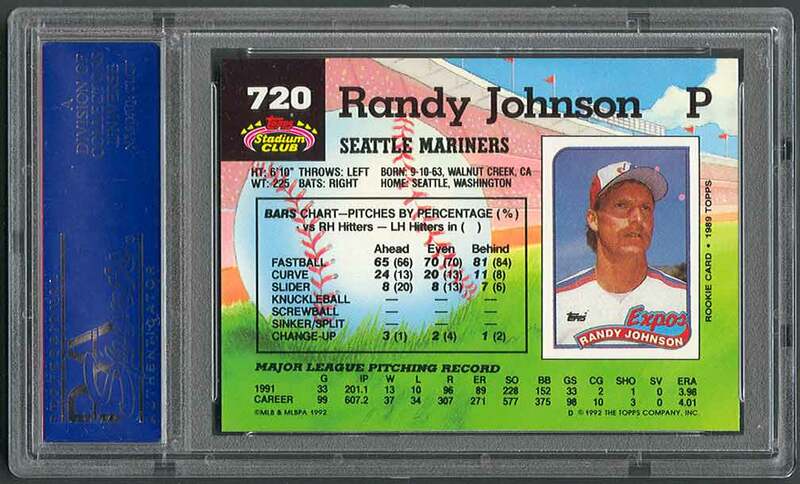 It was a good portrait of Randy but the holder bothered me the more I learned about Beckett grading. 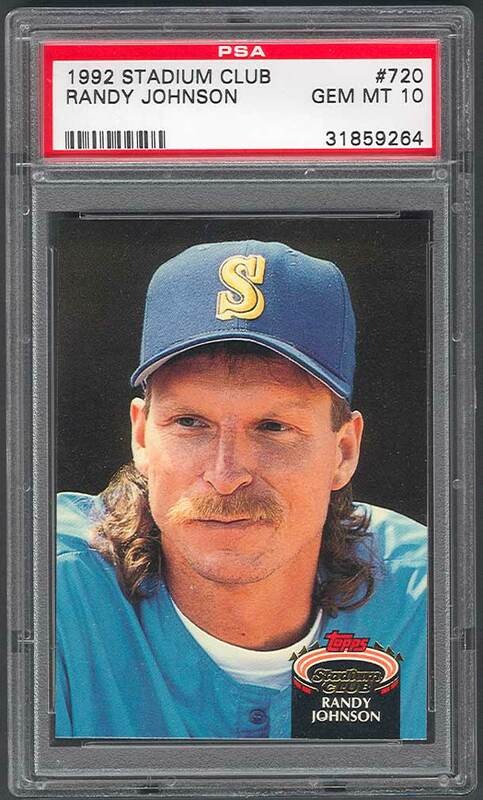 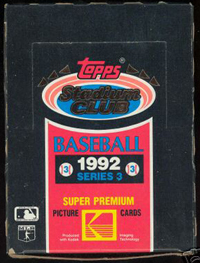 I replaced the card with this '92 TSC card in July, 2007 with another eBay win from seller Matt Gumbel (4_star_sports). 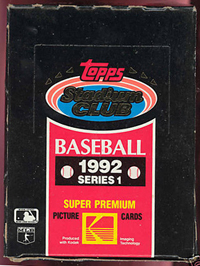 Description: This 900-card set was released in three 100-card series. 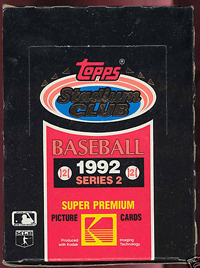 Like the 1991 issue, the cards feature borderless high-gloss photos on the front. 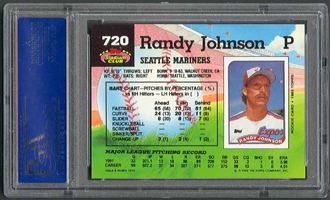 The flip sides feature the player's first Topps card and a player evaluation.